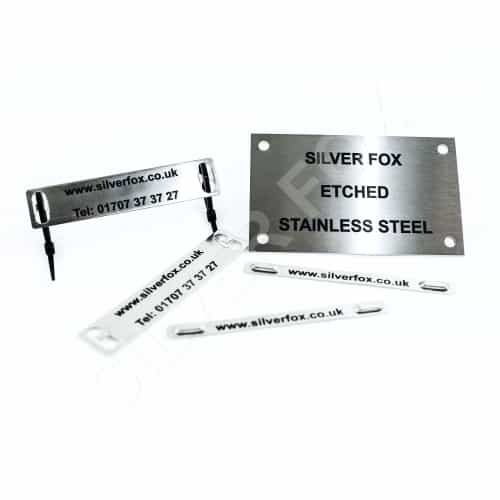 Our stainless steel engraved labels are ideal for all applications. 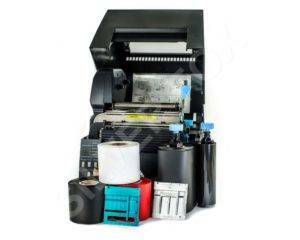 They are produced in our factory to your exact requirements, We can produce them with whatever information is required, in one or more lines and with different font styles/sizes (even on the same label). There are various sizes available. Generally black on metal background. Other print colour options can also be available. 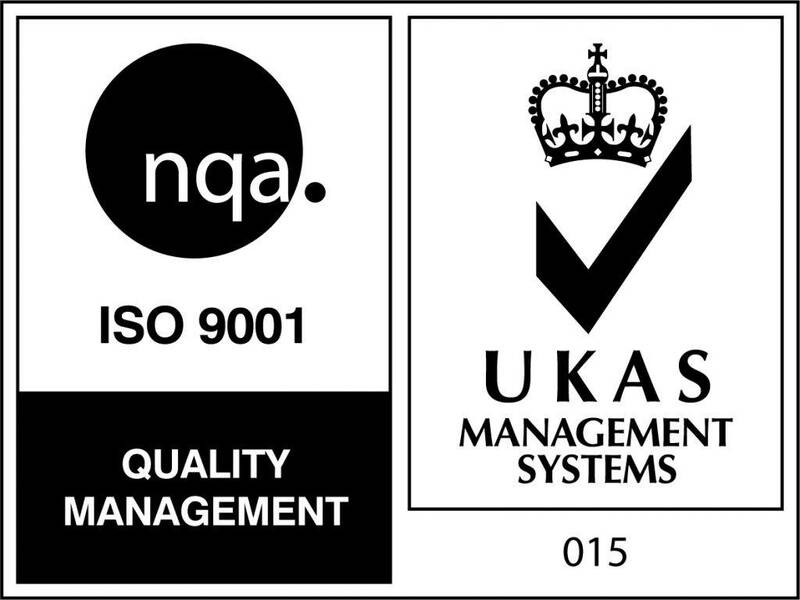 Factory produced to your exact requirements. Stainless steel cable ties are also available. 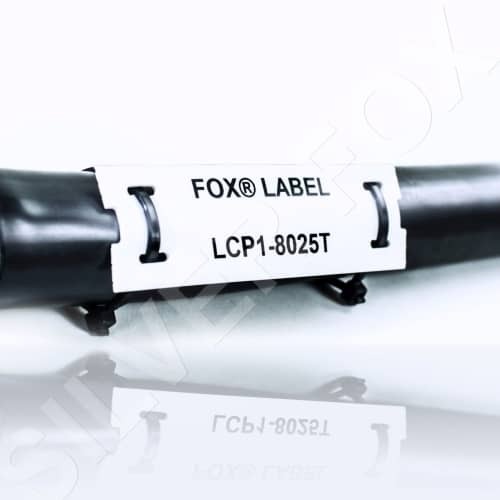 To help save site time, if required, cable ties can also be pre-fitted onto the labels. 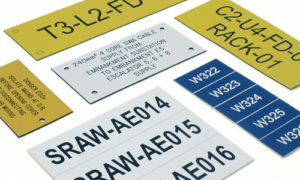 Stainless Steel Engraved Tie-On Labels are Custom Made to Your Requirements.